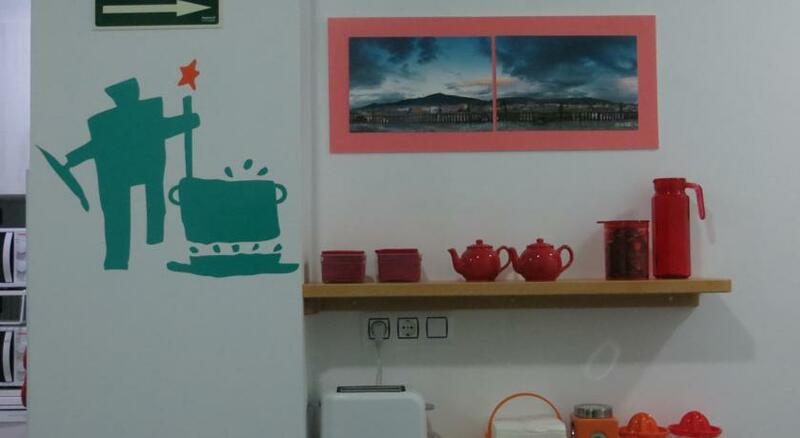 For all the modern amenities the Albergue Corredoiras in Padrón has, it lacks in the coffee maker department. Groggy pilgrims were taking turns using a small Italian-style stove-top coffee maker. In the adorable-but-not-functional Ikea-like kitchen, I looked in every cupboard for a French press, hot water kettle, or even an American-style drip coffee maker, to no avail. I finally got my turn, made a stove-top pot of coffee, and shared it with the Aussies and they shared their milk with me. This coffee was enough to get me out the door. I knew I could get another caffeine fix later. On my walk through Padrón there were detour signs. I did not think this would add much to the overall kilometers that day, but it ended up being the longest walk yet! Brierley’s guide showed 24.9 km for this stage, but my AllTrails app showed 27.4 km. 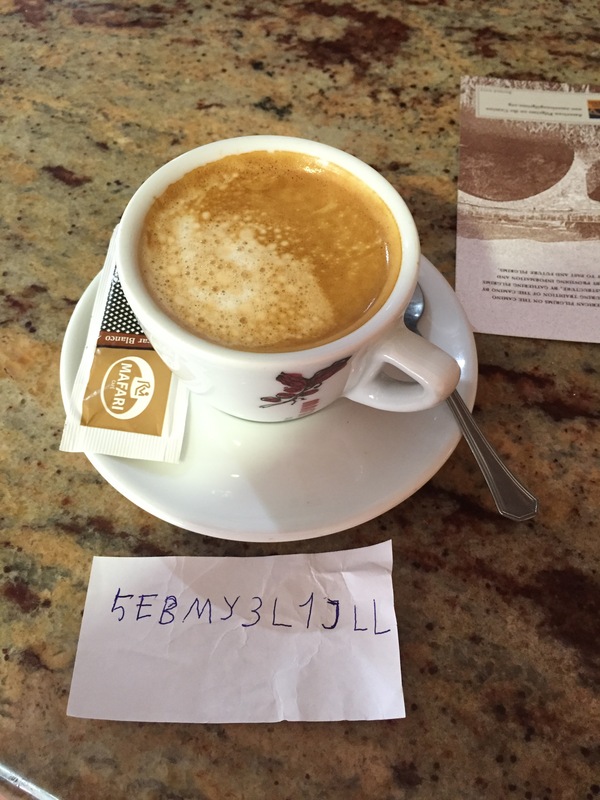 I stopped in a great Café, ordered a café con leche with a side of wi-fi and checked in with friends and family. Most Cafes and Bars have wi-fi. You just have to ask “Tiene wee-fee?” Then they give you the password. The front half of my credential was filling up, so I got my last stamp on the front spread. Good thing the credential has three panels on the back for the next few days in Santiago. 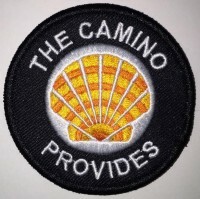 For longer Caminos, people need more than one credential. See Credencial del Peregrino Comparison. As I walked out of town that beautiful morning, the song Closer to Fine by the Indigo Girls kept running through my mind. My husband plays it well on his guitar and although I can’t sing well, it sounds okay when I harmonize it with someone else. The song kept me company, and the lyrics were deeply moving. 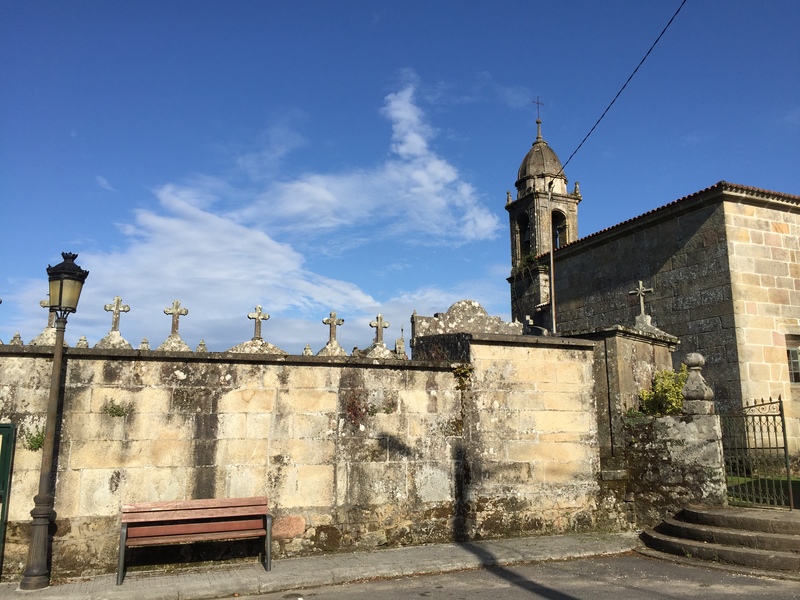 This was my last day of walking the Camino and I got emotional and teary-eyed. 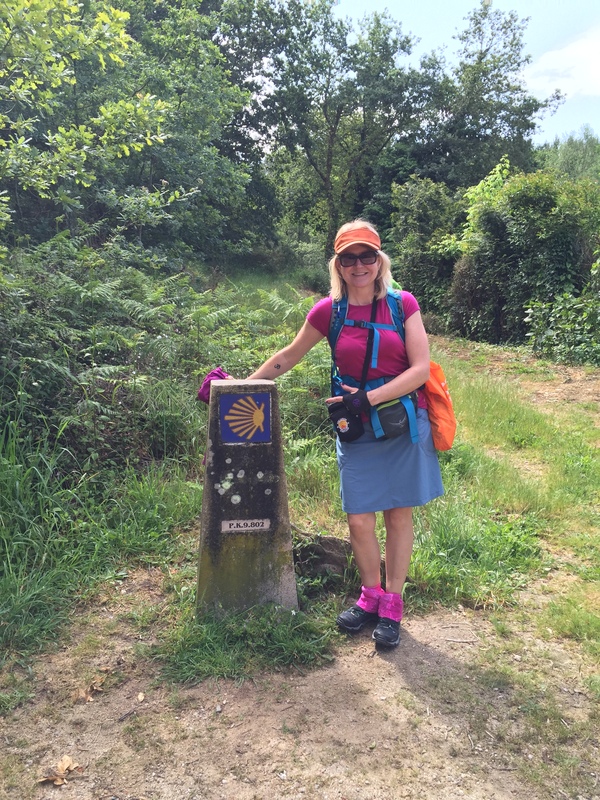 Pure joy was the feeling and Closer to Fine became my Camino theme song. I looked to the children, I drank from the fountain. In my five days prior, I did all of the above, except fortunately I did not have to go to the doctor. However, I walked with Diana, the Polish anesthesiologist, who gave me some good pain killers after that brutal mountain we climbed between Ponte de Lima and Rubiaes. Along the way, I stopped in this church with a dozen other pilgrims, said some prayers, got my credential stamped, and headed north. 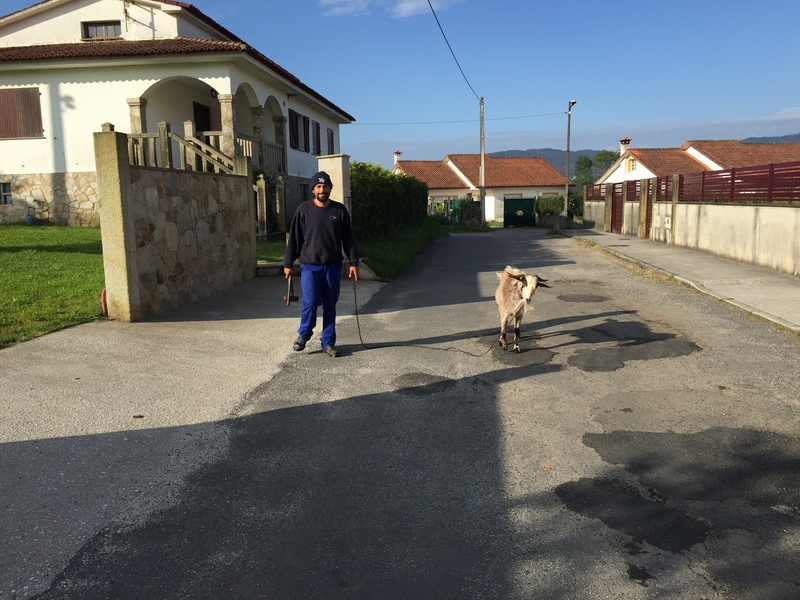 Along the way I saw a man walking a goat. 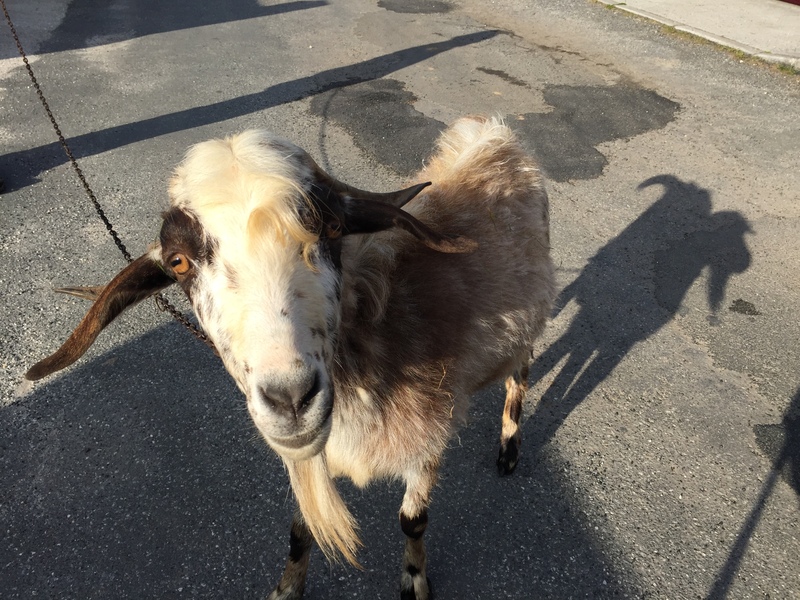 Have you ever looked closely into the eyes of a goat? There’s a rectangular pupil instead of round. It was mesmerizing! 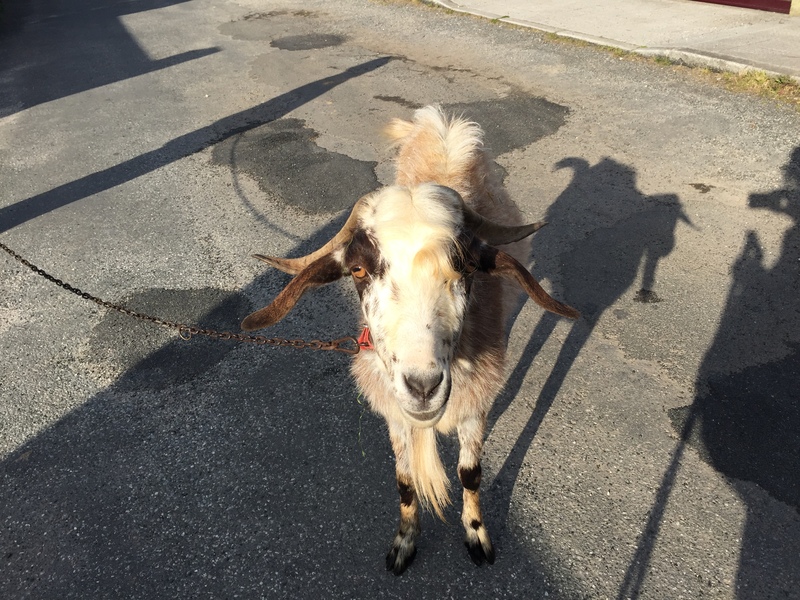 I supposed I looked just as strange to this goat because he kept staring at me. More photos of that beautiful morning. So far this was the warmest day, and I was glad I wore my hiking skirt and Dirty Girl gaiters. On my previous walking days I wore the long hiking pants that kept the dirt out of my shoes. 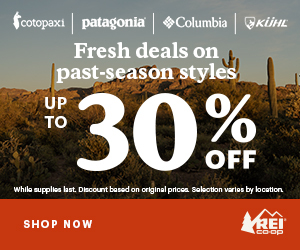 Gaiters are great for hiking with shorts or a skirt to prevent pebbles and dirt from getting into your shoes. I learned about the Dirty Girl gaiters from a Triple Crown hiking expert on my Mount Diablo Hike with Scott “Shroomer” Williams. Regardless of their name, Dirty Girl gaiters are not only for girls! In my hot pink gaiters and blue skirt, I was as colorful as the three Americans I kept running into since Pontevedra. I saw them again around the single-digit-km stone marker, a very special point on all Camino routes that shows you are less than 10 km away from Santiago. We all high-fived each other and did the photo-op like the woman pictured in Brierley’s guide. As I got closer to Santiago, I marveled at how the suburbs had horses that weren’t fenced in. So peaceful! The neighborhoods were well kept and clean. The sky was getting darker, and I was getting tired, hungry, and a little frustrated: I had already exceeded the distance showed in the guidebook for this stage, and my legs were starting to hurt. On top of that, for some reason there were no distance plates on any of the stone markers! I was accustomed to seeing how many kilometers remaining to get to Santiago, but the distance during those last few hours was a complete mystery. When I got to this pair of markers pointing in opposite directions, I thought, WTF! 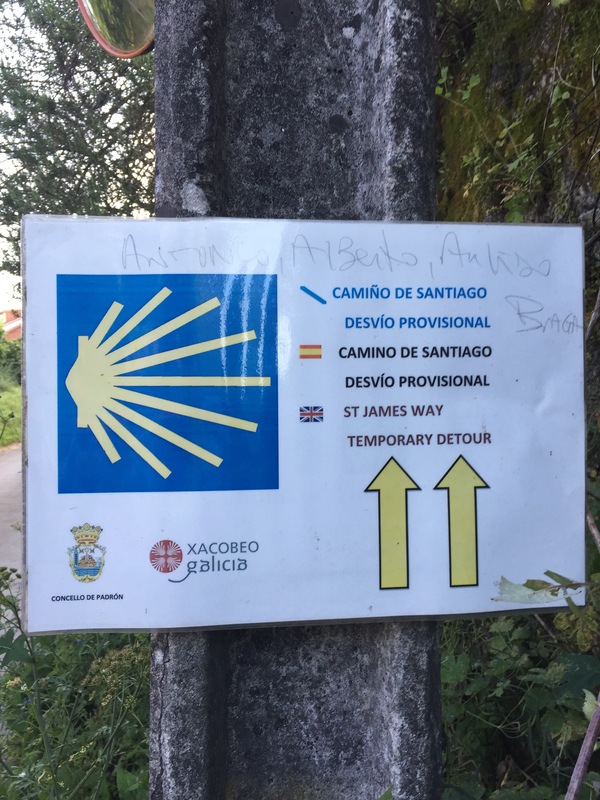 Is the Camino playing tricks on us to test our fortitude or sense of humor? There was a Spanish peregrino nearby who had walked this route before, so I asked him which way might be shorter, but even he did not know. We laughed at the absurdity of the situation and took photos of each other by the markers. I felt like the scarecrow in the Wizard of Oz. I followed my instinct and went to the right because I had seen glimpses of Santiago’s skyline in that general direction. 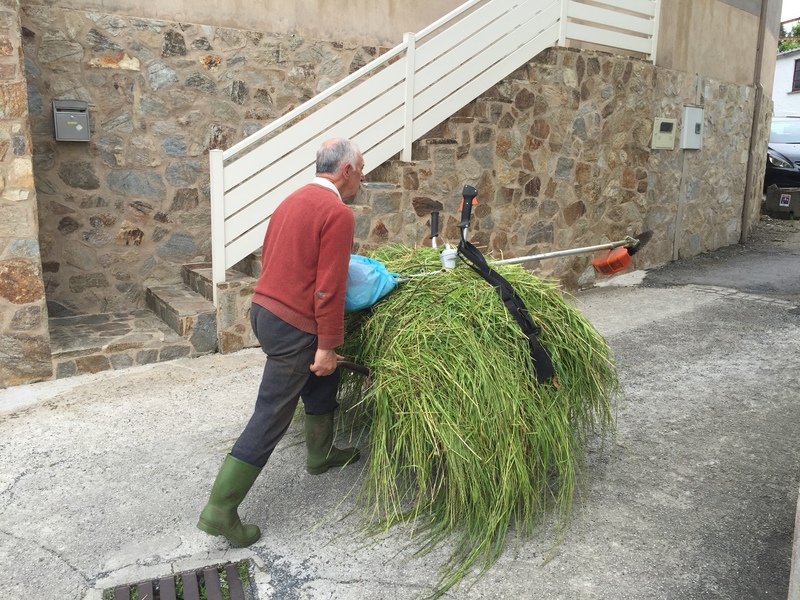 When I saw this farmer with his wheelbarrow full of hay, I wondered if I was being put out to pasture. I saw this Stop sign and kept going. Ultreïa—onward and upward. 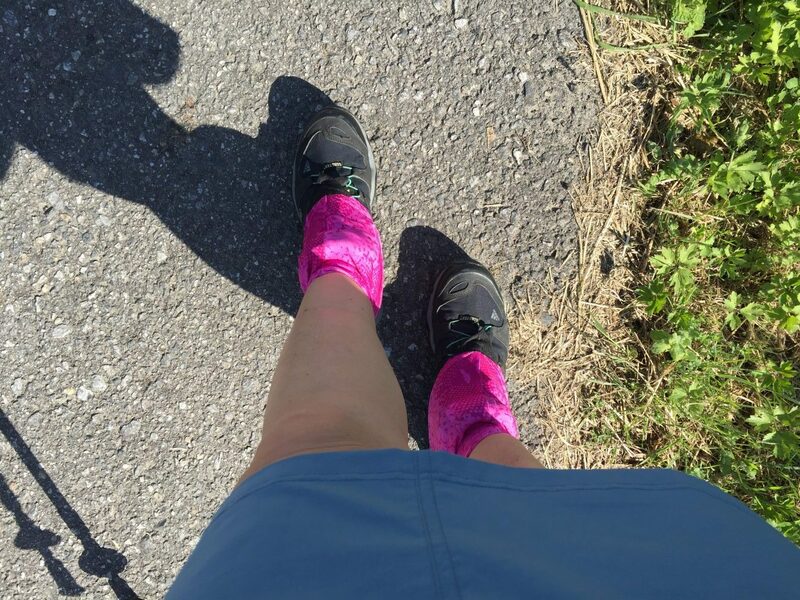 Photo from Gayle Takes a Hike (https://thecaminoprovides.com/2016/07/08/gayletakesahike/). I saw the same stop sign but was too tired to take a photo. Finally, I reached the city of Santiago. You would think it would be easy at this point to find arrows and shell markers, but they were few and far between in city. I actually had to use Google maps to navigate my way to the Cathedral in the center of town. You can imagine my surprise when I arrived in Santiago, and my AllTrails App showed I had walked 33.5 km (21 miles). Really, I’m not that kind of girl! I much prefer walking between 19 and 24 kilometers (12-15 miles) per day. Grrr! Had I known this stage was going to be so long, I would have planned to stay somewhere in between so I could arrive in Santiago earlier and less exhausted. 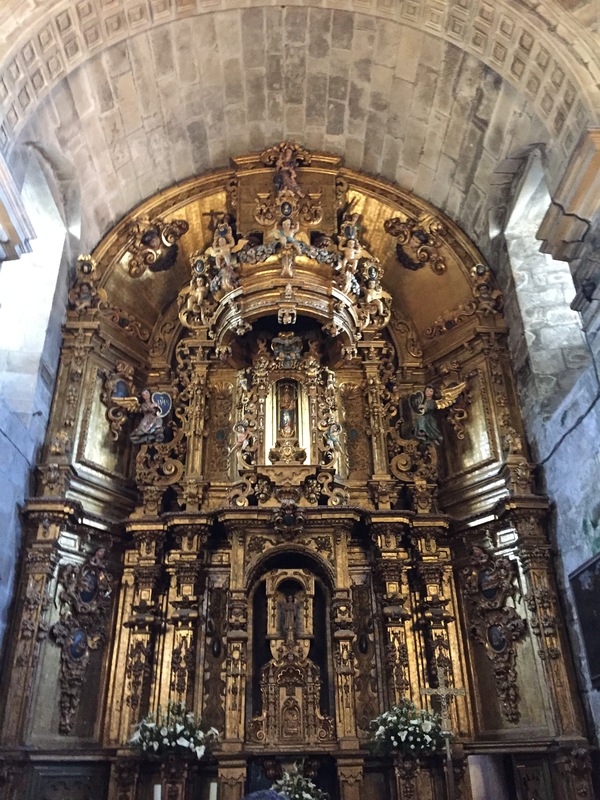 However, I was determined to make it to Santiago on Friday so I could attend the special pilgrim mass that night. Later the app re-calibrated and showed I walked 27 km (17 miles), which is still more than my preferred walking distance. This is a glitch in the AllTrails App that I’ve seen before. Peregrinos who have walked this stage: did you break up this stage and stay in Teo or somewhere else? If so, how was that? Also, what is up with the markers outside of Santiago not showing the kilometers? I was stumped by this and would like to know if it will be fixed. Gracias! Up next, my first evening in Santiago, pilgrim mass and getting my Compostela. You made it! I still have 385 for next summer to go!